Gaming's most unlikable protagonists are back. Yes, Hana, Rain, Deke, and Glas have returned from an extended hiatus to wreak havoc and steal stuff in their own inimitable way. 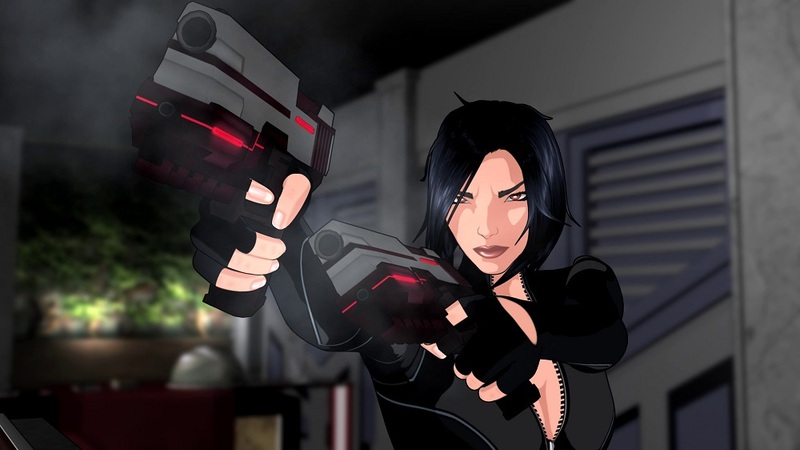 Lock and load folks because, some 17 years later, Fear Effect is back. Fear Effect was an odd beast that landed on the PS1 in a post-Matrix world of cyberpunk, neo-noir, and digital terrorism. Although remembered with kind nostalgia, the reality remains that 1999's Fear Effect and its 2001 sequel, Retro Helix, had some serious issues. Put away your pitchforks. While the games had an interesting world, intriguing stories, and unique stylistic decisions, these were betrayed by abominable combat, bad controls, lengthy load-times, and blurry, sometimes indiscernible visuals. Still, good ideas are always worth revisiting, and indie-outfit Sushee has done just that. 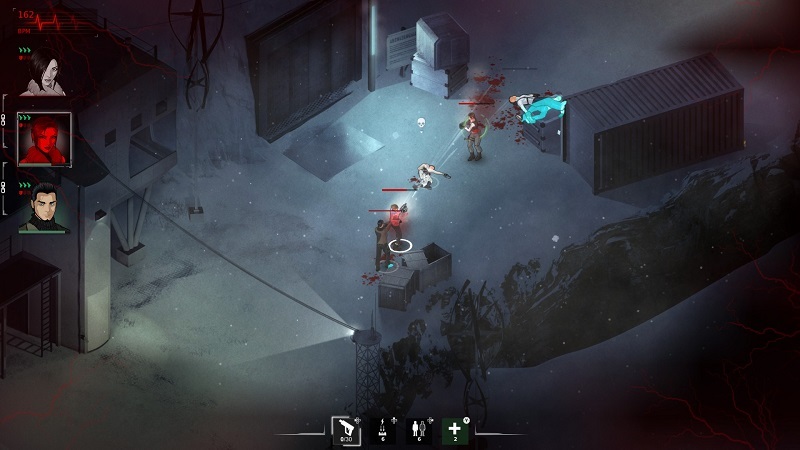 Stripping away everything about Fear Effect's mechanics, keeping only its characters, atmosphere, and gritty, neon-soaked settings, Sushee has reinvented the series as a tactical strategy title, hoping to deliver the same aesthetic experience as before, but with superior gameplay. From the moment you hit the start button it becomes clear that Sushee knows its source. Sedna captures the look, feel, and atmosphere of the Fear Effect games perfectly. 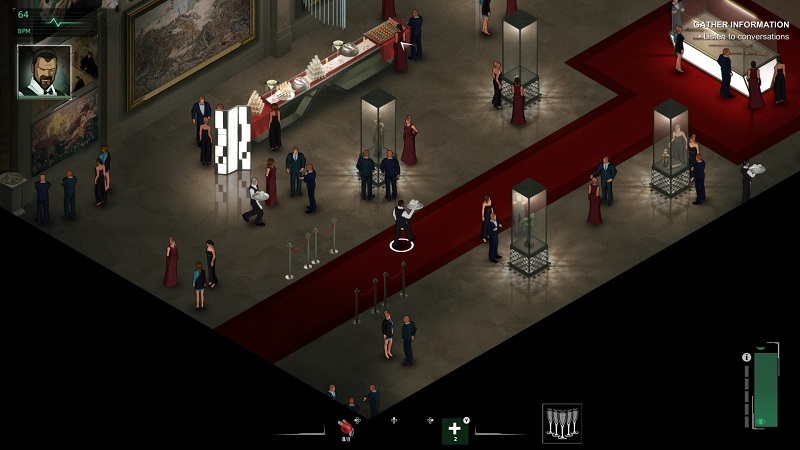 Presenting the player with environments that are at once opulent and sleazy, populated with individuals who have your back right up to the moment they stick a knife in it. Series fans will feel right at home as soon as they see Hana and her motley crew running through the murky shadows of the rain-soaked rooftops, twin-guns in hand. Our protagonists get more than they bargained for when they are tasked with stealing an item of priceless art. What starts out as a straightforward smash-and-grab turns into a much darker affair, featuring ancient Inuit mythology and inter-dimensional activity. I'm starting to believe that these guys never go on capers that don't end with them fighting hellspawn. Unfortunately, the story isn't particularly interesting or immersive. The biggest problem here lies in the game's weak script and poor voice-acting. Our anti-heroes machine-gun through dialogue in a phoned-in manner, with plot points delivered in a style that sounds like the actors were not given any context for the current scene. Some moments of aggressive, high-drama are delivered flat and without gravitas. From scene one the voice-acting is a distraction and remains so throughout. Sushee made the right choice by removing the previous games' cumbersome controls and clunky action, to reinvent Fear Effect within a new genre. The problem, however, is that the original bad combat has been replaced with equally bad combat, but now from a new perspective. Sedna claims to be a tactical-strategy title, but the new mechanics don't work well enough to make this claim viable. Not only is the partner A.I. a bust, with team members occasionally running out of cover and insisting that they fight at point-blank range, but Sedna's "Paused Tactical" feature isn't necessary at all. By the midway point I was run-and-gunning every enemy encounter in real-time, on occasion simply standing still and holding down "fire" until everyone was dead. Although each character is equipped with a cool selection of special attacks, outside of some tricky boss encounters I rarely needed them. Why bother when the enemy will run directly into your line of fire, ignoring any and all cover in their vicinity? Perhaps the developer knows the combat is sloppy, as Sedna absolutely bombards you with medikits, whether from fallen foes or simply littered throughout the map. The abundance of which are almost an admittance that both tactical decisions and your backup team are unreliable, and thus will frequently need their health replenishing. Like Fear Effects past, Sedna is peppered with lateral-thinking puzzles, which block our scumbag heroes' progress. These mini-games involve sliding blocks, number tests, and even rhythm-action elements, with clues to the solution hidden in the game's environment. The difficult but canny brain-teasers are the best part of Sedna, leading to some fantastic "Eureka!" moments, despite the often-deadly consequences of failure. 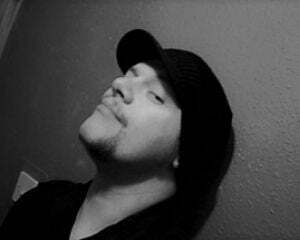 Tribute should also be paid to Sedna's excellent score. The game's soundtrack is rich and absorbing, featuring beautifully tragic synth for the quieter moments and pulse-pounding beats for when the lead starts flying. With Vangelis' Blade Runner soundtrack being an obvious influence, Sedna's music is a delight, fitting perfectly within the strange, neo-noir of the universe. The sound effects, unfortunately, are not on the same level, with gunfire reduced to a weak popping, and some attacks having no audible impact at all. Sushee has proven that it understands what makes the Fear Effect universe appealing. It's nailed the aesthetics, pinned down the series' love of mythology and the occult, and balanced the shadow-creeping stealth elements with fast-paced combat and great, mind-bending puzzles. The big positive here is that the developer's clear passion for Hana and co. will aid them with upcoming remake Fear Effect: Reinvented. But, unfortunately, Sedna doesn't deliver a gameplay experience worthy of the brand's magnetic style. 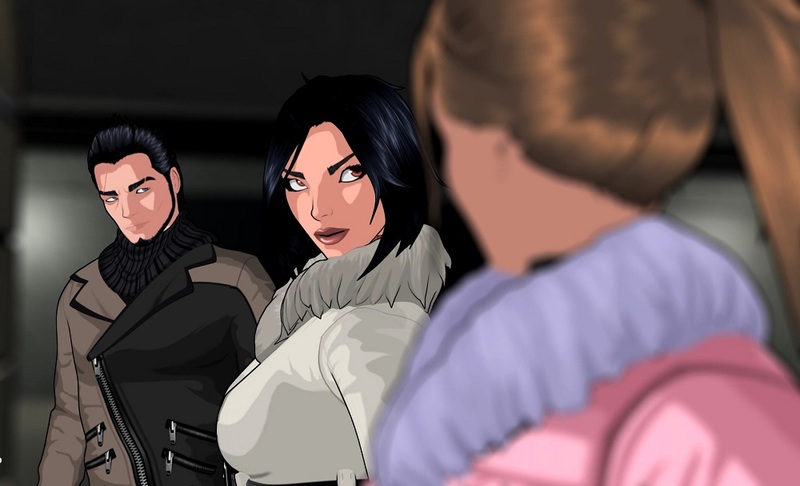 Fear Effect Sedna shows that the developer truly knows its source material inside out, but unfortunately the gameplay aspect remains lost. With poor voice-acting, a broken, almost unnecessary tactical system, unreliable A.I., and flat action, Sedna just isn't fun or compelling. Three games down and the wait for a truly fantastic entry continues, with the concern that the series may not be up to such a task being the most irrepressible fear of all.